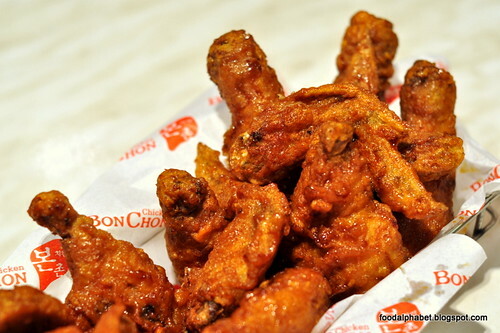 BonChon Chicken, America's No. 1 chicken has been making it big here in the Philippines. 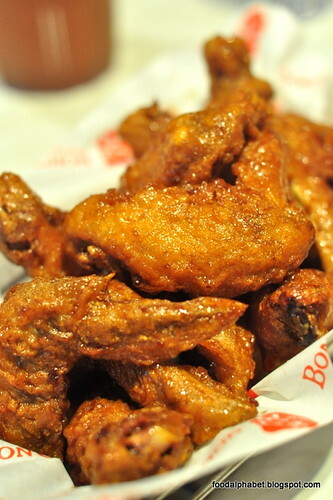 Well, everyone here knows about BonChon Chicken. 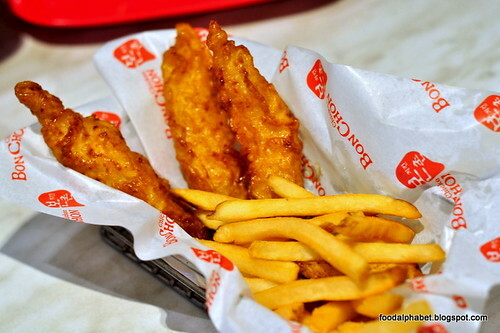 Opening her first branch in Ayala Triangle Gardens, BonChon now boasts of almost 20 branches and growing. 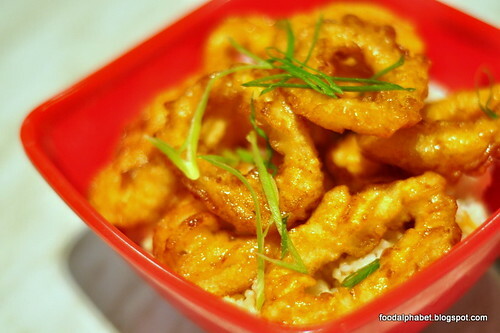 New on their menu, Crispy Squid rice (P125) Crisp fried battered squid rings, golden brown to taste, on top of steamed rice, is definitely a welcome addition to the growing menu of BonChon chicken. Even without dips, the squid rings were tasty and tender to the bite. Great for non-chicken diners. Fish and Chips (P125), Crisp fried cream dory fish strips, covered in the same coating that has made BonChon chicken oh so delicious, fill your fancy with your choice of soy garlic or hot and spicy. 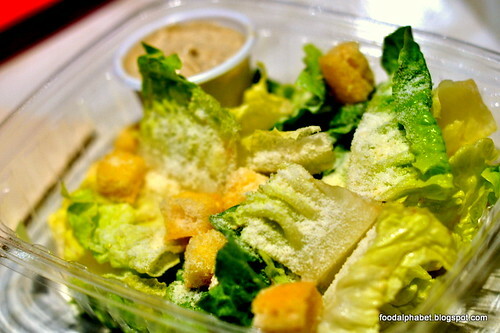 With french fries on the side, consume while it's hot! One that has caught my eye and of course my sense of smell and taste. Finally! Chapchae! 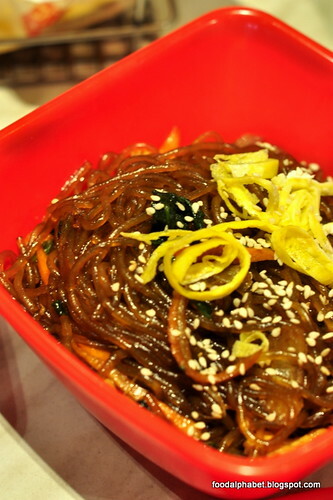 (P75) Funny thing is, this Chapchae is not even served in the U.S. Our love for Korean food treats clamored for the coming of this, and yes I am happy with those yummy vermicelli, I can order three and finish them all. Just the right amount of tanginess and tastes sweet enough for the Filipino palate. 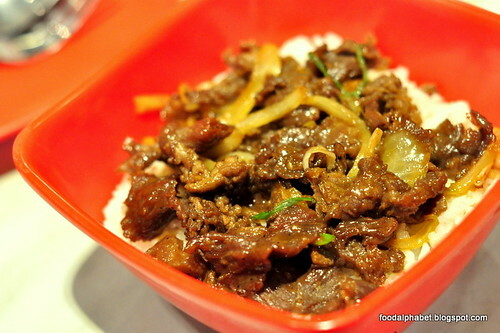 Bolgogi Rice (P125), for the beef lovers out there. Best consumed while hot, as is all beef when cold is not really that tempting. Take a bite at their sweet tasting Bulgogi rice, always a treat! Chicken chops (P185) for small. Love the chicken, hate the bones? Then this is perfect for you. 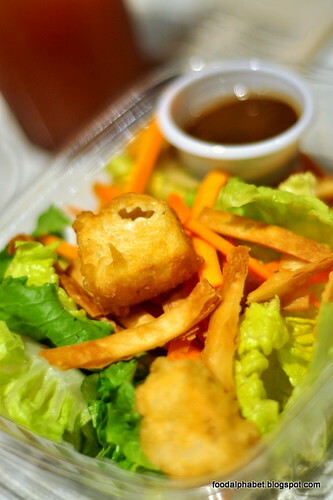 No hassle, just pure BonChon Chicken enjoyment! 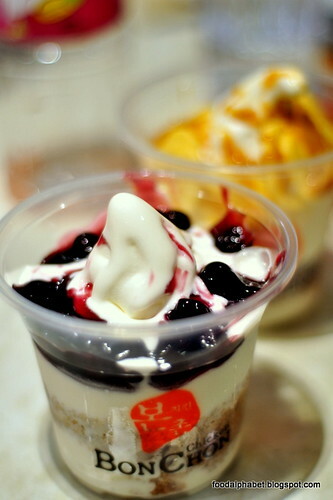 Ko-Yo, (P70) Korean Yogurt in Blueberry Torte and Banofee Pie, or if you like just plain! Every spoonful of yogurt is a spoonful of healthiness. Take a dip into the dessert haven. 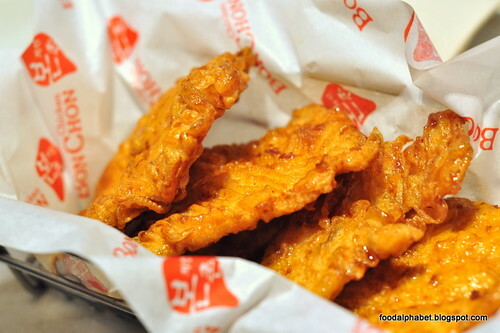 Uhmmm... so this is why we are all going gaga over BonChon Chicken. 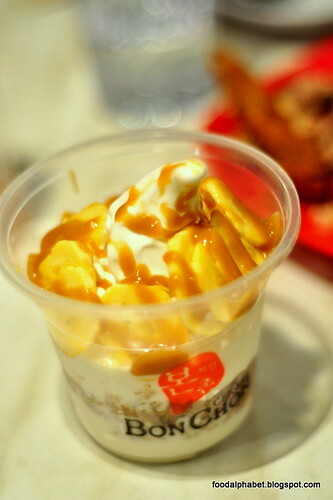 Visit your favorite branch and get a load of your old favorites and have a bite of the new offerings that BonChon chicken has to offer. 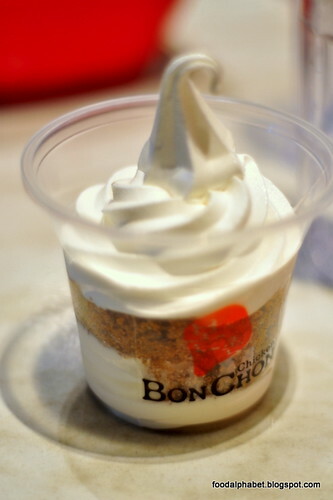 For their list of branches visit http://bonchon.com.ph/.